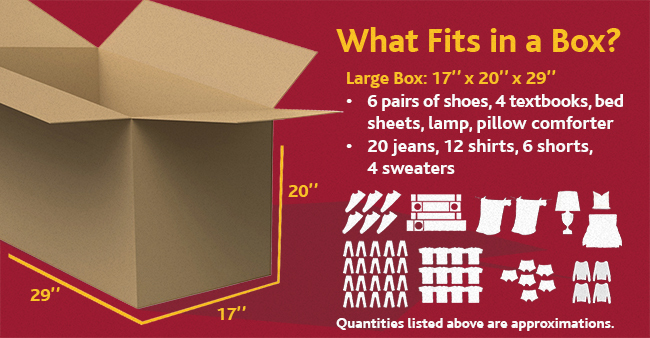 USC provides students with an easy answer to their storage and shipping needs. All it takes is a click, and our professional movers will be at your door on the scheduled date. We then take your belongings to our secure storage facility, and deliver them to your new residence when you are moving in. Students also have the option of shipping items home.